Politico published a devastating story of how the Obama administration derailed a Drug Enforcement Administration operation aimed at Hezbollah, a Lebanese-based, Iranian-backed terrorist group, which used trafficking in drugs and weapons to fund its operations, in order to prevent jeopardizing the Iran nuclear deal. The blockbuster revelation came in an exhaustive three-part series by Politico’s Josh Meyer who delved deep into Hezbollah’s criminal and terrorist operations, its support from the Iranian regime and the Obama administration’s desperate moves to keep the DEA’s investigation from jeopardizing a flawed nuclear deal alive. 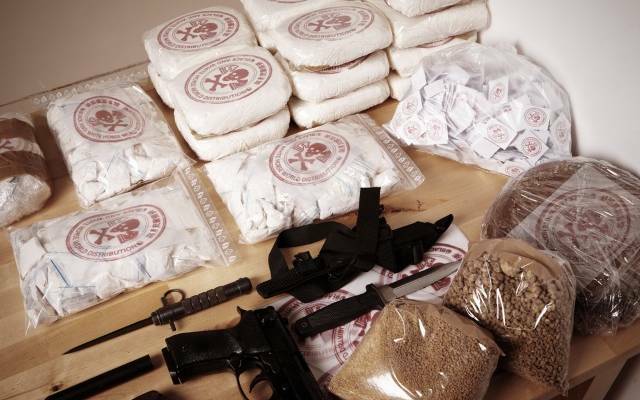 Known as Project Cassandra, the DEA’s extensive campaign was aimed at toppling the terrorist group’s elaborate network smuggling and selling narcotics and weapons around the world; whose profits were used to fund the terror network worldwide. Project Cassandra members said Obama officials blocked or undermined their efforts to chase down top Hezbollah operatives, including one of the world’s biggest cocaine traffickers who was also a top supplier of conventional and chemical weapons used by Syrian President Bashar Assad against his own citizens. Former Obama administration officials told Politico their decisions were guided by improving relations with Iran, stalling its nuclear weapons program and freeing four American hostages held by the country. According to Politico, the DEA followed cocaine shipments, some from Latin America to West Africa and on to Europe and the Middle East, and others through Venezuela and Mexico to the United States. They tracked the river of dirty cash as it was laundered by, among other tactics, buying American used cars and shipping them to Africa. And with the help of some key cooperating witnesses, the agents traced the conspiracy, they believed, to the innermost circle of Hezbollah and its state sponsors in Iran. It is ironic that the other countries involved in the smuggling operation include countries such as Venezuela who is closely tied to the Iranian regime. It is even more ironic that the Iran lobby has been deaf, dumb and mute on the disclosures since they fly directly in the face of the claims made by Iran advocates such as Trita Parsi of the National Iranian American Council who extolled the virtues of the nuclear deal as a moderating force within Iran and throughout the Middle East, but now we know that the promise of the deal in fact persuaded the Obama administration to give Hezbollah a free pass in shipping narcotics to Western nations and arms to proxies who later used them in conflicts stretching from Syria to Yemen to Nigeria. The Obama-led Justice Department declined requests by Project Cassandra and other authorities to file criminal charges against major players such as Hezbollah’s high-profile envoy to Iran, a Lebanese bank that allegedly laundered billions in alleged drug profits, and a central player in a U.S.-based cell of the Iranian paramilitary Quds force. And the State Department rejected requests to lure high-value targets to countries where they could be arrested, according to Politico. In hindsight, the Obama administration’s Pollyanna-ish view of the Iranian regime and Hezbollah since at best naive, and at worst deliberately obstructive. The logic that believed the mullahs in Tehran could be trusted to act in a civilized manner also seemed to guide the belief that Hezbollah could be assimilated into a normal political party in war-torn Lebanon. The disclosure that Brennan actually believed that “moderate elements” within Hezbollah could be cultivated is a shocking echo of the same arguments made about empowering “moderate elements” within the Iranian regime through a negotiated nuclear agreement. It is clear now that the pervasive idea of appeasement was hatched almost from the day President Obama was sworn into office and guided U.S. policy moving forward and eventually set the stage for the carnage and bloodshed Iran has unleashed over the past three years. Politico cited the example of Lebanese arms dealer Ali Fayad, a suspected top Hezbollah operative whom agents believed reported to Russian President Vladimir Putin as a key supplier of weapons to Syria and Iraq, who was arrested in Prague in the spring of 2014. But for the nearly two years Fayad was in custody, top Obama administration officials declined to apply serious pressure on the Czech government to extradite him to the United States, even as Putin was lobbying aggressively against it. We know that the Obama administration’s policy of appeasement has been a complete failure in reining in Iranian extremism. It has made the world a much more dangerous place and resulted in the deaths of hundreds of thousands of people. We can only hope that the Politico story revelations will serve as a harsh reminder for the Trump administration not to make the same mistakes. Over the weekend, Iranian regime-backed Houthi rebels lobbed a missile at the Saudi Arabian capital of Riyadh from Yemen in what is being described as an “act of war” by Saudi officials by the Iranian regime. While tensions have long simmered between Saudi Arabia and Iran—rising to a boiling point with confrontations between the two in the Syrian civil war and Yemen—this is the marks the first-time theater-wide weapons have been introduced aimed at either countries’ capitals. This latest provocation seems to be part of the larger chess game being played out between the two countries that includes clashes in Lebanon and Iraq as Saudi Arabia seems determined to step up to the plate and blunt the Iranian regime’s expansionist moves over the past several years as part of an effort to build a Shiite sphere of influence controlled by Tehran. The two countries had only recently appeared to be working towards a rapprochement offered by the Iranians only to see the regime launch proxy military efforts in backing Houthi rebels in Yemen and using Hezbollah fighters from Lebanon in Syria; both moves seemingly aimed at isolating and diminishing Saudi influence. 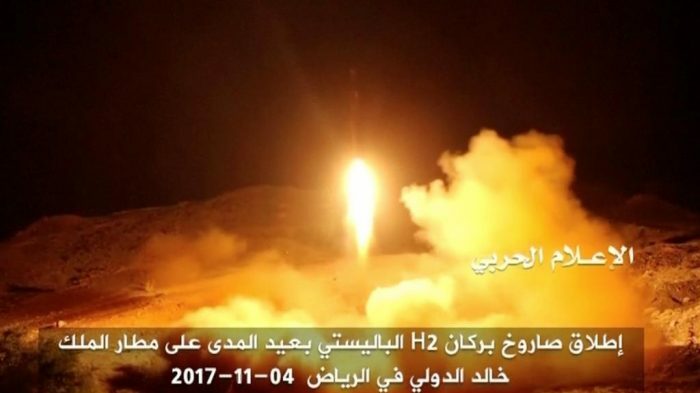 The missile launched by the Houthis was intercepted before reaching the capital and while causing no damage, pushed the region dangerously closer to all-out war between the two countries. The move by Iranian regime to allow such an act underlines how vastly stupefying promises were made earlier by Iran supporters and advocates such as the National Iranian American Council two years ago during negotiations over the Iran nuclear agreement that passage of the deal would embolden moderate forces within Iran and usher in a more moderate and stabilizing Iran. It’s worth noting again how utterly wrong people such as Trita Parsi of the NIAC have been since then. While it may be eminently satisfying to call out Parsi and his cohorts on how blatantly obvious it was to simply be shilling for the mullahs, the ramifications of the PR push to essentially grant Tehran a hall pass to sow terror and conflict throughout the Middle East are coming home to bear poisonous fruit. Far from accepting the blame and pushing for moderation from the mullahs in Tehran, Parsi and the NIAC have only doubled down by aggressively going after the Saudi regime with a spate of editorials, social media posts and statements blasting Riyadh for everything from manipulating the Trump administration’s policies towards Iran to conspiring with conservative Republicans to start to eradicate Iran. On the surface, the NIAC’s claims are ludicrous, but given the dark history of complicity by it and its allies within the Iran lobbying machine, it’s no wonder that Tehran feels emboldened enough to start lobbing missiles at Saudi Arabia. Jubair detailed how the missile was smuggled into Yemen in parts and assembled by Hezbollah and Iran’s Revolutionary Guard Corps operatives and fired by Hezbollah from Yemen. The fact that U.S., Saudi and other coalition naval warships have periodically caught Iranian fishing and commercial vessels smuggling weapons, ammunition and parts to Yemen from Iran have only strengthened these claims over the years of direct Iranian activity in the escalating war in Yemen. Hezbollah’s participation is worrisome since the IRGC has often used the Lebanese-based terror group as its shock troops in conflicts such as Syria and in targeting U.S. service personnel over the past three decades around the world. Earlier news disclosures of U.S. State Department cables published on WikiLeaks show that Yemen had acquired stockpiles of missiles from North Korea and that Iran may have shipped components of North Korean missiles to its Houthi allies who in 2015, with the support of Tehran, toppled the internationally-recognized government of President Abdu Rabbu Mansour Hadi and now control much of the countryside since then. This new-found “Axis of Evil” between Iran, North Korea and terror groups such as Hezbollah, point out the highly volatile nature of Iranian regime’s expansion plans and how it has built a formula for conquest around using terror groups and insurgents to destabilize a country and then move in to consolidate its power and use it as a base of operations to stage even more actions. It is a model used effectively in Lebanon, Syria and Yemen and has gained traction in Iraq, but was stymied in the Gulf states by swift action by Saudi Arabia. Saudi Arabia has called for an urgent meeting of Arab League foreign ministers in Cairo next week to discuss Iran’s intervention in the region, an official league source told Egypt’s MENA state news agency. The call came after the resignation of Lebanon’s prime minister pushed Beirut back into the center of a rivalry between Saudi Arabia and Iran and threatens to re-open that country to bloody conflict. 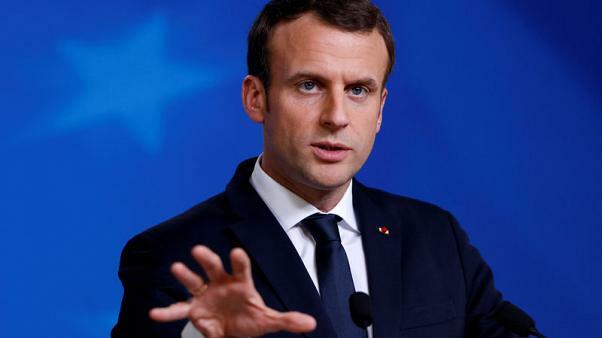 Even French President Emmanuel Macron is blaming Iran for the missile attack targeting Riyadh and said it illustrates the need for negotiations with Tehran over its missile development. “The missile which was intercepted by Saudi Arabia launched from Yemen, which obviously is an Iranian missile, shows precisely the strength of their” program, Macron said late as he visited the United Arab Emirates and Saudi Arabia. “There are extremely strong concerns about Iran” among its Arab neighbors in the Persian Gulf region over the missile launch, and “there are negotiations we need to start on Iran’s ballistic missiles,” he said. All this flies in the face of the false promises made by Parsi and the NIAC and demonstrates clearly why any reputable news organization should think twice before providing air time or space for them to make such disreputable claims. Clearly the Iran lobby has become one of the largest machines churning out “fake news” today. 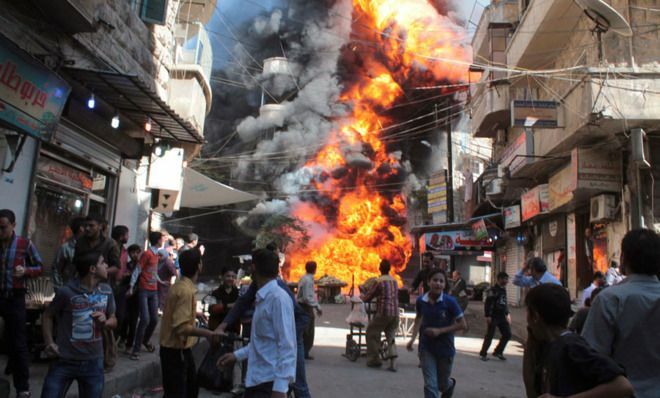 You can almost pinpoint to the day when things turned really bad in Syria. For much of the fall and spring of 2012-2013, the Assad regime was on the ropes from a series of victories by rebel forces including the loss of a key airbase and provincial capital. The Syrian army suffered from several publicized defections of key leaders and the rebel coalition had grown significantly around moderate groups backed by the U.S.
Then in April of 2013, the Iranian regime directed its terrorist proxy Hezbollah to join in the fray, along with advisors and commanders from the Iranian Revolutionary Guard Corps. Coupled with a massive influx of cash and weapons, the restocked Syrian army launched a series of counteroffensives that began to turn the tide. Up until that point, the rebels had pushed to within eyesight of Damascus and Assad was frantically figuring out where his exile should take place. For the mullahs in Tehran, it was an equally scary time as its major Shia partner was about to fall. But with the reinforcements and direct intervention by Iran, the tide of the war changed and with it the situation we are now mired in. Not only did Syria alongside Iranian forces fight rebels, they specifically targeted, moderate Western-backed units in order to decimate their numbers and leave only radical Islamic groups on the battlefield forcing the U.S. and its allies to pick between a certifiable mass murderer in Assad or groups such as ISIS and Al-Nusra. It was a clever strategy and one that worked too well given the Obama’s support of the corrupt Al-Maliki government in Iraq, preserving ISIS at a critical time when its numbers were small and lacked cash and weapons. It gained both when it exploited the divided government in Iraq; split apart by Iranian regime’s insistence on a Shia only leadership thereby pushing some of the Sunnis straight into the waiting arms of ISIS and leading directly to the blitzkrieg that toppled Mosul and delivered ISIS its first major victories. Less than two years later, as Iran was again on the ropes with its resources depleted and rebel forces on the verge of breaking out again in Syria, Iranian mullahs took the step of begging Russia to intervene and save its proverbial goat, which Vladimir Putin was all too happy to oblige, sensing an opportunity to preserve its naval base on the Mediterranean while filling the power vacuum left by the Obama administration’s total withdrawal from the region. But President Trump’s decision to retaliate against Syria for the use of chemical weapons changed the game plan entirely and now raises the question of how to best move forward? There is no doubt that the most desirable solution in Syria is a diplomatic one, but focusing on removing Assad from power is only treating the symptom. The real sickness that afflicts Syria is the presence of the Iranian regime there; it is so embedded many Syrians have taken to view Iranian soldiers as an occupation force. By removing Iran from Syria, the situation resolves itself in a myriad of ways: Russia would lose its key partner on the ground; A peace deal with rebels will definitely prevail; and the Syrian people would have the chance to choose their own destiny. It would also allow for the repatriation and resettlement of the four million refugees that have fled Syria since the war began. And the key to pushing Iran out of Syria lies within supporting—fully—the dissident movement within Iran itself. “The regime’s survival is now dependent on unsteady security services and the power of patronage, which ebbs and flows with the price of oil. Iran’s continuing stage-managed elections and colorless apparatchiks, including President Hassan Rouhani, a founding father of the feared intelligence ministry who mimics reformist slogans, have failed to convince, much less inspire,” they said. Re-prioritizing human rights as a dominant issue with Iran moving forward would place the U.S. back on the moral high ground that the Obama administration vacated and serve as an effective counter to the ceaseless arguments made by the Iran lobby opining about potential economic benefits of trade with Iran. A new report by human rights group Amnesty International showed that Iran remained a dominant executioner of its own people, second in the world only to China, which makes hammering the regime on human rights all the more critical. Sir David Amess, a member of the British Parliament, pointed out in an editorial in the Washington Examiner that the key to confronting Iran ultimately is to cut off the IRGC’s commerce as outlined by a leading Iranian dissident group. “The National Council of Resistance of Iran (NCRI) specifically identified the sites of some 90 docks operated exclusively by the IRGC within Iranian ports. The information was obtained from the network of the People’s Mojahedin Organization of Iran (PMOI/MEK), which has assets within the clerical regime and the IRGC itself and made international headlines in 2002 when it revealed key details about the regime’s nuclear program,” Amess said. “Iran’s destabilizing regional influence and its subversive activities will only be diminished if the domestic and international power of the IRGC is confronted and constrained, first through the rightful designation of the organization as a terrorist organization and then through the sanctioning of all its economic activities followed by financing regional conflicts and threats against the West,” he added. Ultimately the U.S. should use its influence to specifically diminish the IRGC and its influence in Syria if there is ever to be any hope of a lasting peace there. It has been interesting watching the reaction of Iranian regime leaders to Michael Aoun’s election to the largely ceremonial post of president of Lebanon. From the statements and self-congratulations coming out of Tehran, you would have thought the head of Hezbollah, Hassan Nasrallah was the one elected. For the people of Lebanon, the results are more akin to a yawner. For Lebanese, who are used to the historical game of musical chairs, the election of Aoun is not so much ground breaking as much as it simply puts a warm body in the chair of the presidency after a two year vacancy. Antoun Issa, senior editor at the Middle East Institute and a former Beirut-based journalist, appropriately captured the sentiments of most Lebanese when he coined the phrase “Kullun haramiyyeh” which means “they’re all thieves” in describing the most common sentiment on Lebanon’s streets from its vendors and waiters to students and doctors. “So when Michel Aoun, the maverick general-turned-politician, achieved his long-held ambition of becoming president on Monday, most ordinary Lebanese reacted with indifference. The new president is just another name, another title, and another episode in the country’s endless — and ultimately meaningless — political drama,” Issa writes in Foreign Policy. “To become president, Aoun, the country’s main Christian leader, struck a deal with his longtime opponent, Saad Hariri, head of the rival Sunni Future Movement. As part of the deal, Hariri will now become prime minister. But for the deal to work, it also needed (and duly received) the approval of arguably the most powerful man in Lebanon — Hassan Nasrallah, the head of Hezbollah,” he added. “For ordinary people, this is all a game of musical chairs. Such is the disconnect between the country’s political class and the people that the average Lebanese can’t tell the difference between having a president and not having one. Prior to Monday, Lebanon had, in fact, been without a president for two years — but this fact could not be discerned on the streets of Beirut. President or no, Lebanon has had no effective governance for decades,” Issa said. More importantly, the long-term strategy of Hezbollah is to so weaken the Lebanese government that it cannot provide basic government services such as education, food, healthcare and security and thus remain the dominant political and military power by dispensing these services to the country’s large Shiite population. It’s a recipe that the mullahs in Tehran have practiced well by keeping the Iranian people dependent on the largesse of the Iranian regime and not allowing the full economic benefits of what should be a powerhouse economy trickle down to the people. This Iranian regime game plan of claiming victory where there is none is a tried and true tactic. Even as the Iranian people march, protest and demonstrate against rigged elections, government corruption or shortages of food and job opportunities, the mullahs continue to flog the idea of victories to keep the perception alive they know what they are doing. The problem with maintaining control with essentially a lie is that it is a fragile form of control subject to toppling even by small acts of defiance. For the Iranian regime this means it cannot tolerate even the smallest inklings of dissent, which is why the mullahs so ruthlessly pursue members of the Iranian resistance movement and arrest Iranians on the slightest provocations. It is why even dress code violations such as women failing to wear a hijab or students posting selfies on Instagram are met with beatings and arrests. 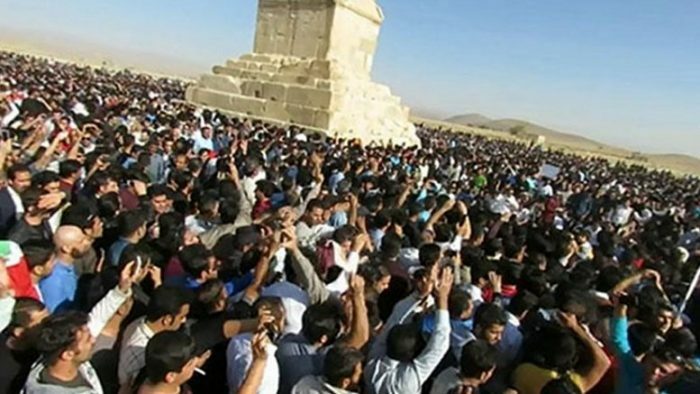 This past Friday saw another of these instances when regime authorities arrested organizers of a rally held at the tomb of the ancient Persian King Cyrus the Great in Pasargadae, Iran. Breitbart News previously reported that protesters chanted slogans like, “Iran is our country, Cyrus is our father,” “clerical rule is synonymous with only tyranny, only war,” and “freedom of thought cannot take place with beards,” a reference to the theocratic leaders currently in power. According to Reuters, there was no indication as to how many of the event’s organizers had been arrested. However, a judiciary official reportedly said on Monday Iran’s intelligence and security forces have placed the organizers of the event under close surveillance and that they will face prosecution. Prior to the October 28 protest, members of the regime’s Revolutionary Guard Corps (IRGC) and other Iranian authorities attempted to thwart the impending rallies by spreading rumors that officials had completely shut down the city, canceling tours to the site, sealing roads to Pasargadae, and shutting down the Internet. Those actions did not deter the protesters, which consisted mostly of youth and individuals under the age of 35, from carrying out their rally. The mere existence of such protests are dangerous for the regime, but also provide ample evidence for the rest of the world of the fragility of the mullahs’ rule which is why the international community needs to confront their extremism more forcefully. Alex Carlile, a Liberal Democrat member of the United Kingdom’s House of Lords and co-chairman of the British Parliamentary Committee for Iran Freedom, challenged the United Nations to hold the regime accountable in an editorial in the Washington Times. “However, this is only the latest in a long line of human rights abuses by Tehran. Earlier this year, a leaked audio file provided further proof of the complicity of top-level regime members in a 1988 massacre, which killed 30,000 political prisoners, including juveniles and pregnant women,” Lord Carlile added. Lord Carlile writes the main targets of these murders were members of the opposition movement People’s Mojahedin Organization of Iran (PMOI, or MEK), although the regime also executed relatives of members or casual supporters as well as other dissidents. Nothing so incenses the regime than the continued efforts of the Iranian resistance to educate the world about these massacres and other human rights violations because they ultimately point out the hollow and empty “victories” the regime trumpets. The Iranian regime has been busy building its own Islamic version of the old Soviet Union’s Warsaw Pact through the use of proxies and terror groups to fight civil wars in Syria, Iraq and Yemen. The template for such a tactic began in Lebanon where Iran’s chief partner, Hezbollah, has become the dominant political force after three decades of bloody sectarian conflict. Lebanon took another step in aligning itself more closely with Iran when Lebanon’s lawmakers elected Michel Aoun, an Iran-backed politician and former general, as president Monday, ending more than two years the country has gone without a leader. 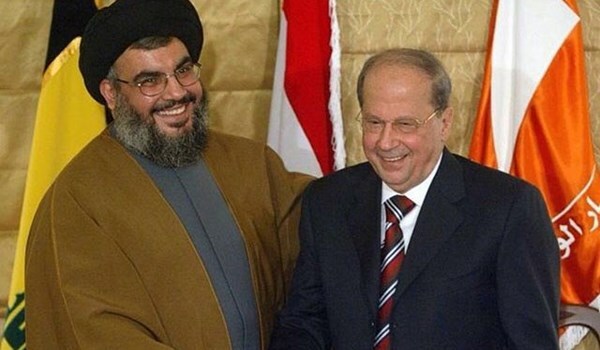 Aoun, 81, is an ally of Hezbollah, the Shiite militia and political party backed by Iran that has helped Syrian President Bashar Assad survive a five-year civil war on Lebanon’s border. According to USA Today, the vote for Aoun, by 83 of parliament’s 127 members, shows Iran-backed political factions shouldered past those aligned with Saudi Arabia, replacing Syria as Lebanon’s chief foreign power broker. It’s an important development since it adds to the growing sphere of influence the Iranian regime is trying to build in the Middle East as it tries to set itself apart as the dominant power in the area; overtaking Saudi Arabia. It is also an attempt by the mullahs in Tehran to send a message to other countries in the region to either cozy up to Iran or face possible repercussions. But far from being a clear-cut victory for Iran, Lebanon sought to navigate a narrow path and not serve a pawn solely for Iran. Saad Hariri, a pro-Western and Saudi-oriented politician, formally endorsed Aoun last week after failing to garner enough support for the presidency. In return, Aoun is expected to appoint Hariri prime minister in a power-sharing move aimed at keeping both Saudi Arabia and Iran from gaining total leverage within Lebanon. Of course, Iran tried to portray the election as a vindication for its policies. Aoun’s election drew immediate praise from a top adviser to Iran’s top mullah Ali Khamenei. The adviser, Ali Akbar Velayati, described the choice as a victory for Iran and its allies in Lebanon, because the Lebanese president is “a very significant ring in the chain of the Islamic resistance,” according to Iran’s government-owned Tasnim News Agency. The election of Aoun to the presidency, instead of the much more political powerful prime minister post also makes Iran’s claims of victory ring slightly hollow, but the mullahs are willing to trumpet any positive news when so little good news is coming across right now as a stagnant economy at home stirs unrest and the colossal drain of supporting three wars has Iran clamoring for lifting more sanctions and even nabbing a few more American hostages in the blind hope of shaking down more ransom money. The efforts by Iran to influence its neighbors fly in the face of warnings issued by regime leaders against foreign nations from intervening in the region. In a meeting with Cypriot Parliament speaker Demetris Syllouris, Iranian regime parliamentary speaker Ali Larijani censured foreign countries for “meddling” in the fate of nations in the Middle East in what could be classified as one of the bigger lies uttered by the mullahs recently. He bragged on the expansion of the Islamic state’s boundaries from the Red Sea to the Mediterranean, vowing that the “defenders of the holy shrines” forces would crash Tehran opponents anywhere in the world in a definitive statement on the regime’s territorial ambitions. “You can see how our borders expanded reaching the Red Sea and the eastern Mediterranean, due to the sacrifice of our martyrs,” he added according to Tasnim news agency. So even while the regime complains about foreign intervention, it sees for itself a blank check to meddle in the affairs of its neighbors and even recognizes its own mandate to push forward its own boundaries in pursuit of a larger swath of territory. All the while the administration of Hassan Rouhani is making changes to Iran’s media laws to further muzzle journalists from any possible dissent and tighten the screws on criticism. His administration reportedly plans to do this through two bills: one designed to ultimately replace the current Press Law and the other to create a state media commission. While the new Press Law may appear relatively similar to the current one, it leaves more room for interpretation when determining if someone has committed an offence. This could make it easier for prosecutors or judges with political motivations to silence journalists or newspapers through arbitrary charges, according to Global Voices. The proposed Media Affairs Commission bill to “oversee the journalism profession” would make journalists and media agencies more directly accountable to the government. The Commission will be responsible for issuing permits to journalists, draft a Journalism Ethics Code and ensure “high moral standards” in the media. At present, local Iranian journalists do not need permits to work for publications, in contrast to foreign journalists who go through a rigorous accreditation process through the Ministry of Culture and Islamic Guidance’s foreign press department. Only special accreditation is applied for journalists through their new agencies to attend official settings such as Parliament, or speeches by the President and Ministers. Hardline politician Hossein Entezami, well known for repressing media freedoms, reportedly will take a leading role in the Commission. His appointment to this post, by the Rouhani administration, is leading to feelings of disquiet for freedom of the press in Iran.